Dr. Larson is a graduate of Kansas State University and has practiced in the Peoria/Morton area for the last 20 years. 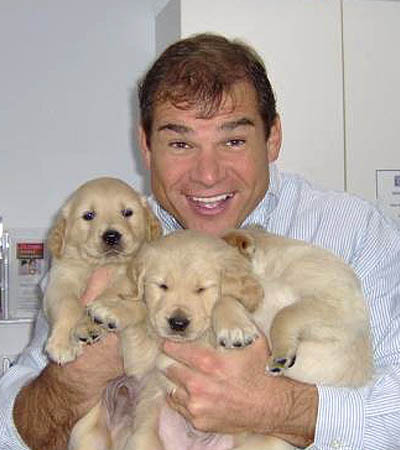 He is a member of American Veterinary Medical Association and American Animal Hospital Association. Dr. Larson does work for Foster Pet Outreach, Paws for Independence, Operation Safe, and Pets for Seniors. Dr. Larson practices at both our Morton and Peoria locations. Dr. Amy Waggoner joined our practice in June 2012. She is a 2002 graduate of the University of Illinois College of Veterinary Medicine. She has also furthered her education by becoming certified in veterinary acupuncture through the Ch. Institute in Florida. 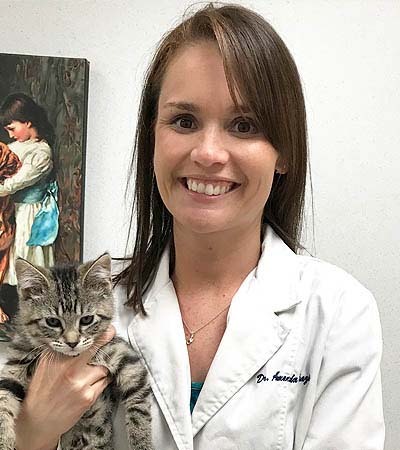 Dr. Waggoner is a member of the American Veterinary Medical Association, Illinois State Veterinary Medical Association, American Association of Feline Practitioners, and American Academy of Veterinary Acupuncture. Dr. Waggoner grew up in East Peoria and graduated from East Peoria Community High School in 1994. She resides in Peoria with her husband, Joe, and their cat, Murphy. In her free time, Dr. Waggoner enjoys exercising, scrapbooking and traveling. Dr. Waggoner practices at both our Morton and Peoria locations. Dr. Klopfenstein joined our practice in June of 2006. 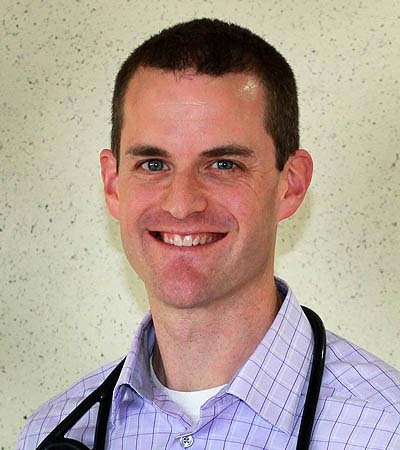 He is a 2004 graduate of the University of Illinois College of Veterinary Medicine. He grew up in Morton and graduated from Morton High School in 1996. He resides in Morton with his wife Ali, their children Charlie, Lily and Henry, and two dogs Buster Brown and Brinkley. Dr. Klopfenstein is happy and proud to be serving the needs of your companion animals in Morton and the surrounding areas. Dr. Klopfenstein practices at our Morton location. Dr. Janelle Lyons joined our practice in June 2015. 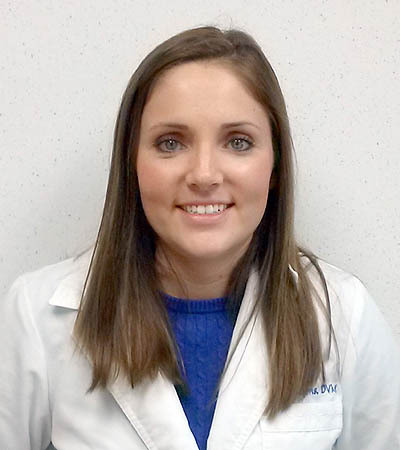 She is a 2015 graduate of the University of Illinois College of Veterinary Medicine. She grew up outside of Bloomington, IL and graduated from Tri-Valley High School in 2007. Dr. Lyons spent the next 8 years in Champaign, IL, completing first her bachelor's degree in Animal Science and then Veterinary School. Dr. Lyons and her husband, Scott, are very excited to be in the Morton/Peoria area and close to both their families. Together they have an English Bulldog named Wrigley, a Newfoundland named Paisley, and a cat named Ohs. In her free time, Dr. Lyons enjoys movies, cooking, spending time outdoors, and the occasional craft or home improvement project. Dr. Lyons practices at our Morton location. Dr. Frazier is a native Illinoisan who grew up in East Peoria and graduated from East Peoria Community High School in 2002. 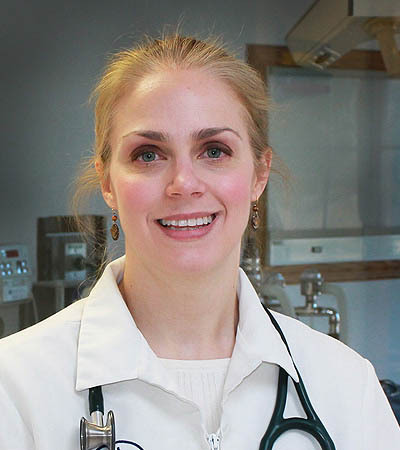 She completed her undergraduate studies at the U of I in 2006 and graduated from the University of Minnesota College of Veterinary Medicine in 2010. After graduation, she moved to Indiana where she practiced for 7 years. Dr. Frazier's areas of expertise include; surgical laser, soft tissue surgery, internal medicine and all areas of animal behavior. When she is not caring for her patients, Dr. Frazier enjoys all outdoor activities. She is especially fond of biking, hiking, kayaking, and gardening. When the weather is less than favorable, Dr. Frazier can be found spending time indoors cuddling with her border collie, Gus and her cats Ollie and Cooper. "Thank you Dr. Klopfenstein for taking such good care of our kitties. Especially thank you for being so understanding and going the extra yard to ensure the comfort of both Ozi and his mommy :) during the dental surgery that you just performed on him. I would highly recommend Tender Care!" - Gail Z. "We LOVE Dr. Waggoner & Dr. Lyons!! They always provide such a loving care for my two K-9 babies!!!" - Emi A.